Tickets are now on sale through the Lyric's website for what will surely be an unforgettable evening of food, film, and good times. The Lyric Oxford, 1006 Van Buren Avenue. 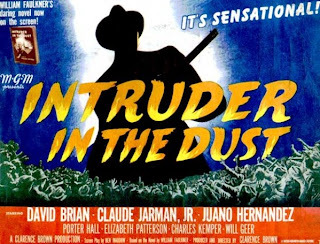 8:00pm Watch the film, Intruder in the Dust, with Q&A following with Claude Jarman, Jr.
For more information, check out the Film Festival's events page -- to purchase tickets, stop by the Lyric or purchase online.